This Sunday two new vendors will be selling at the Westover Farmers Market up on the plaza. Silver Box Baking offers attractively packaged baked dessert items in stall spot # 9 in the market. (See the market’s virtual map.) Trisha Downes of Silver Box Baking notes “our company focuses on classic recipes using locally sourced farm fresh fruits and vegetables to create an upscale and delicious product line. Products include breakfast breads and muffins, Croustades, Cakes, and cookies.” See some of her fancy baked desserts on their Facebook page. Fresh Crunch will offer market customers an alternative view of the world of sour. The market’s existing pickled products vendor, No. 1 Sons, has developed a loyal following at Westover. But no two customers have exactly the same sense of taste. Taste Fresh Crunch’s products, and see where your taste buds lead you in the future. These two Northern Virginia pickle vendors are friendly competitors at several larger farmers markets in the Washington metro area. We are pleased to see them engage as well at the Westover Farmers Market. Fresh Crunch can be found at stall spot # 22 on the plaza. 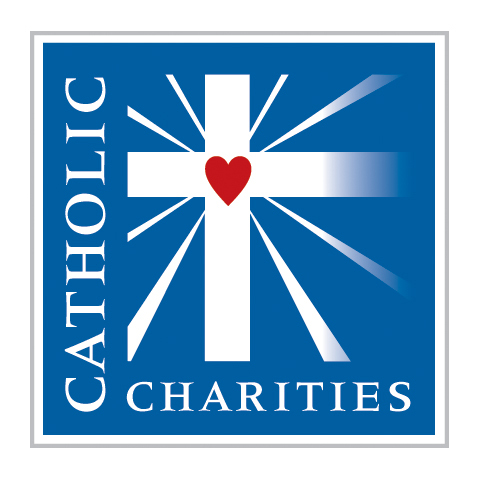 You can see more info about their offerings on their website and Facebook page. Yes, its been a wee bit damp the last week, but (hurricanes notwithstanding) the forecast for Sunday looks better. We’ll be there, our vendors will be there, so bring your flippers and rubber duckies and come on down. See you at the market! Arlington County will conduct its second exchange of LED residential light bulbs for old incandescent bulbs at the farmers market this Sunday. The limit is one bulb per household. If you have not already participated in the exchange, bring one of your old incandescent bulbs from home to exchange for one LED bulb. LED light bulbs are the wave of the future. They are the most efficient, durable, versatile light bulbs available today! This is a $7 value. It’s a great opportunity to try the latest lighting technology — for free. As this nifty chart shows, an LED bulb can last as long as four CFL bulbs or 25 incandescent lights. An LED bulb uses no more than a sixth the energy of an equivalently bright incandescent light. The classic Westover Farmers Market T-shirts have been reordered and are back in stock at the market tent up on the plaza. The shirts are available in youth sizes and in adult sizes up through XXL. Cost per shirt is $15. 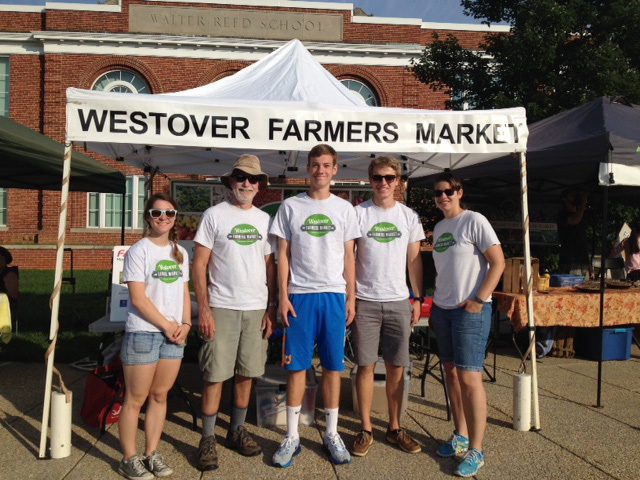 These shirts are cool to wear during the summer and a great way to show that you support the Westover Farmers Market. Supplies limited. The Westover Farmers Market will be holding one of its by-now-legendary raffles again this Sunday, July 26. The low-down: vendors kindly donate items that are binned into several prize baskets. Purchase at least $5 from any vendor and you’ll receive a ticket, which you fill out and put in the bowl at the WFM table up on the plaza. We will then raffle off the prize baskets every half hour between 9 and 11:30 a.m. We’ll announce the winners with a ring of the cowbell, and in real time on Facebook and Twitter. Confused or want to see it in action? Check out video of last month’s raffle! Cold Country Salmon is a small scale set net operation fishing the crystal clear blue waters of Bristol Bay Alaska. When not fishing, local owner Zac Culbertson runs a small acreage family farm in Louisa County between Charlottesville and Richmond. The entire Bristol Bay fishery is a sustainable, biologist managed fishery to ensure its future viability. Farmed fish is categorically banned throughout Alaska to prevent the pollution of not only the coastal watershed but the wild salmon genome. Every June Zac heads to Bristol Bay to fish on the Ugashik river. His fishing season lasts from mid June til the end of July with the peak occurring in mid July. During the peak they often fish for 2-3 days straight. While fishing, they are constantly selecting the very best of the catch to bring home to sell to customers throughout Virginia and D.C. The fish selected are bled on board the skiff, filleted and pack in ice. On shore they immediately package and freeze the salmon. This very special handling process is what sets Cold Country Salmon’s fish apart from any other wild caught salmon available on the market. Nobody in the industry has such exacting standards. This is why Zac and his crew designate their fish as “Beyond Sushi Grade”. In addition to its superior King, Sockeye, and Coho salmon, Cold Country Salmon is able to supply its customers with several line caught species of fish including sablefish, halibut, pacific cod, and pacific rockfish. In addition to its raw seafood, the vendor offers smoked salmon, salmon spread, salmon cakes, spices, and glazes prepared in Northern Virginia. You will find Cold Country Salmon up on the plaza at the Westover market. Get a Free LED Light Bulb at the Market this Sunday! Arlington County will be exchanging LED residential light bulbs for old incandescent bulbs at the farmers market this Sunday. The limit is one bulb per household. Bring one of your old incandescent bulbs from home to exchange for one LED. LED light bulbs are the wave of the future. They are the most efficient, durable, versatile light bulbs available today! This is a $7 value. It’s a great opportunity to try the latest lighting technology — for free. As this nifty chart shows, an LED bulb can last as long as four CFL bulbs or 25 incandescent lights. An LED bulb uses no more than a sixth the energy of an equivalently bright incandescent light. Peaches, green beans and corn…oh my! We are into the high season of the year’s fruit and vegetable harvests. An abundance of fresh produce of broad variety is being offered by our market vendors each week. Don’t miss the peaches, berries, cantaloupes, squash, and so many other farm-fresh delights that tell you through their fragrances and delectable taste: this is the best of summer. Revel in the season and enjoy its bounty! The Westover Farmers Market will be conducting one of its popular raffle markets tomorrow. When you visit the market on Sunday morning and shop and purchase food items worth $5 or more from a vendor, he will give you a raffle ticket. Fill it out at the tent at the center of the market and put it in the ticket basket. Drawings will be every 1/2 hour to select an instant winner! The prizes are a collection of food gift items donated by vendors at the market, plus gift certificates from The Lebanese Taverna, one of the market’s business sponsors. Come and enjoy the fun while you shop! Two new vendors at WFM this Sunday! Two new vendors will be at the Westover Farmers Market on Sunday morning. Shenandoah Valley Produce, LLC will be offering fruits and vegetables grown following the best agricultural practices. This organic producer (Mike Smith) is farming beautiful acreage east of Winchester in an area that saw action during the Civic War. Midsommar Farm, LLC up near Lovettsville, Virginia raises flowers that are hand cut the evening before they are brought to market. The farm’s flowers are certified naturally grown without the use of chemicals or synthetic fertilizers. Shenandoah Valley Produce can be found in the market in spot # 24, next to Mama’s Donut Bites near Washington Blvd. Midsommar Farm will be selling at the north end of the market in spot # 38 between Number One Sons and Penn Farms. You can find them on our virtual market map. Please give these new vendors a warm Westover welcome to our market!